Me in my first week of FREEDOM! 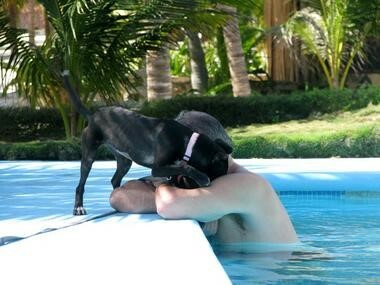 Nuzzling dad by the pool at my Aunt Laura's Hotel Akumal Caribe. Tug of War with my big brother, Nick, in my new backyard. Taking it easy in my living room. 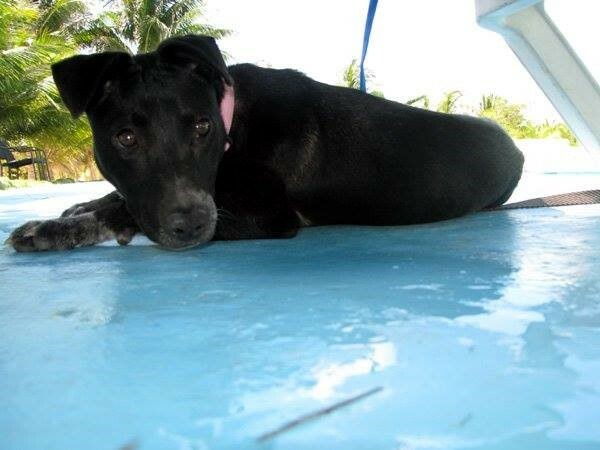 I am mostly a Coated Xoloitzcuintli, a breed they call Xolo (sholo) for short. I was named Maya Alux after the Mayan’s small, magical shape-changer creatures. I prefer the life of a dog, however. This year I am going on a big adventure. To Akumal where I was born. Follow Maya in A Mini Goes to Mexico.